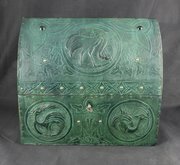 A stunning Art Nouveau leather work jewellery casket, probably French in manufacture, decorated with Celtic motif, stylised birds and brass stud work. 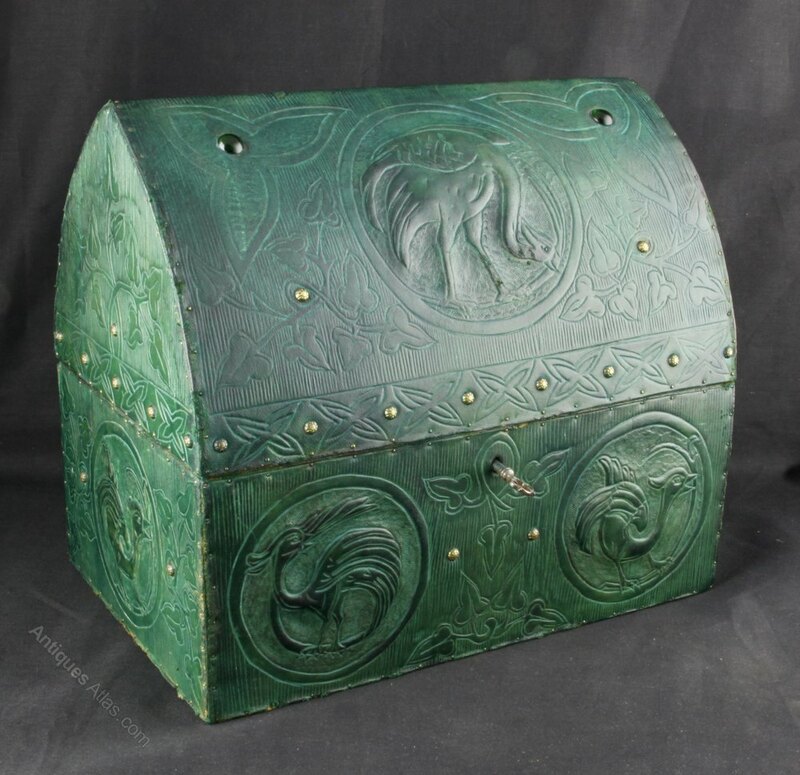 Dating to circa 1910 it is offered in good condition, commensurate with age, with some minor markings to the edges and a small knock to the top of the dome. 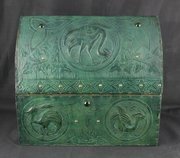 None are particularly noticeable or detract from what is a great looking object. 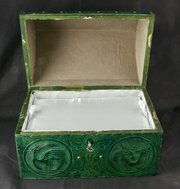 At some point the interior has been recovered with marbling paper. 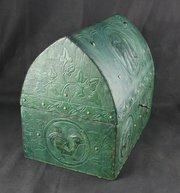 The box measures 27cm wide, 18cm deep and 24cm high. The asking price includes insured postage in UK. For overseas postage please contact me for a quote to your destination.